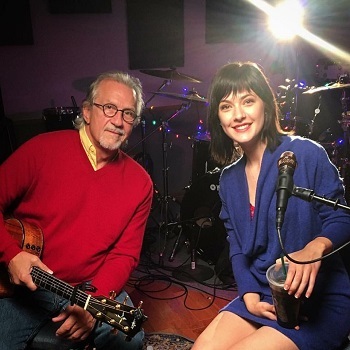 The genre-blending range of Sara Niemietz’s voice spans pop, rock, jazz, and blues. Along with performing with Postmodern Jukebox, she has recorded and performed with singers like Richard Marx and B.J. Thomas, keyboardist/composer Randy Kerber, and actress Donna Lynne Champlin. Accompanying her on guitar, Snuffy Walden is best known for his work in television scoring shows that include “The West Wing”, “Roseanne”, “Friday Night Lights”, “Felecity”, and dozens of others. Nominated for 12 Emmy awards (and winning for “The West Wing”), Snuffy has also toured as a guitarist in support of Stevie Wonder, Donna Summer, Chaka Chan, Stray Dog, and the Animals’ Eric Burdon.